I’ve been a bad blogger this week. Every day I think up fantastic things to blog about on my way to work and through out the day and then I get home and end up watching tivoed episodes of Parenthood or Anthony Bourdain’s No Reservations. This week has been quite a busy, emotionally draining one to say the least. I’ve had the “I think I’m going crazy” talk with my husband several times this week… so I am pretty thrilled its the weekend. 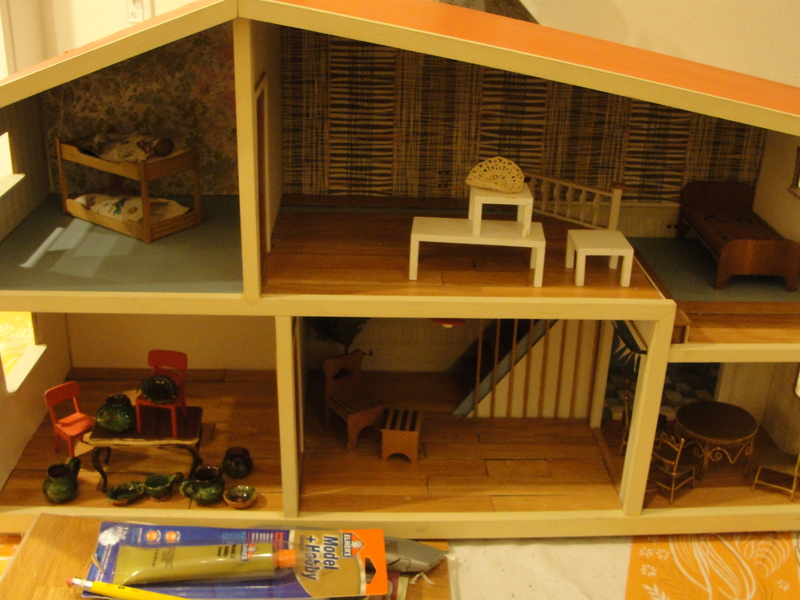 I’m hoping to get some sewing done and some dollhouse work accomplished as well. We shall see. For now, I wanted to finally share the little collection of dollhouse furniture I found at last weekend’s antique market. Not a big selection, in fact I had to dig through a few boxes of mildewy doll clothes to find some of the items, but I’m hoping that after this weekend and a little restoration on my part- these pieces of furniture will be nice additions to my doll house. stay tuned next week for some refurbished furniture… and hopefully some better pictures too.